Science City of Muñoz, Nueva Ecija – Superior rice varieties from the public breeding sector can be expected soon with the completion of a Genetic Resources Laboratory and Genebank housed at the Central Experiment Station of Philippine Rice Research Institute. 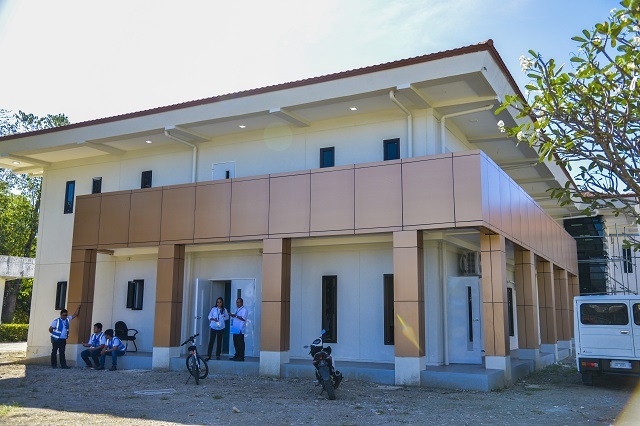 Worth P23 million, the newly inaugurated facility houses more than 5000 Philippine traditional rice varieties and more than 16000 germplasm collections, which will provide the genes needed in breeding new rice varieties. “Through proper conservation of these germplasms, we can select the best traits from our traditional varieties and elite breeding lines to develop varieties that are high yielding and climate resilient,” Dr. Sailila E. Abdula, PhilRice acting executive director, said. Abdula further urged the Institute’s genetic resources experts to accurately characterize the collection to optimize the germplasm’s use as parent lines. Meanwhile, Dr. Jonathan Niones, head of Genetic Resources Division (GRD), said when properly processed and stored, seeds at the facility can last from 50 up to 100 years. “To ensure seed quality, we have monitoring system for the seed volume, stocks, and viability of the germplasms to ensure we have enough high-quality seeds,” he said. For this year, GRD plans to collect traditional rice varieties from eight provinces and to characterize 800-900 germplasm 2019. PhilRice recently acquired a permit to conduct the collection of traditional rice varieties from indigenous people communities in Sarangani province.